The controversy heated up yesterday, July 18, 2017, when BVI Airways announced in a press release that they are laying off their staff and placed the blame on the National Democratic Party (NDP) Government of Premier, Dr The Honourable D. Orlando Smith (AL). “It will be interesting to see how it’s going to be resolved. 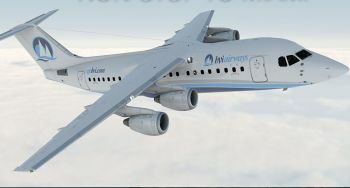 The airline was supposed to be flying as of July 22 - that’s in just a few days- but so far it seems that, that’s not going to happen,” commented the host of the show, Mr Doug Wheatley. 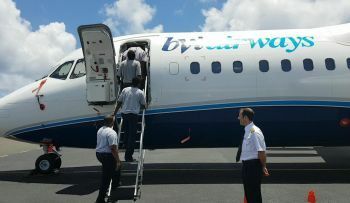 A disgruntled caller stated that the issue between the government and BVI Airways is causing a lot of difficulties and the airline might never commence flights. “The government called this a subsidy and from my knowledge of subsidising airlines, normally you have an airline that is already in operation and the government simply buy seats. So this is more like a startup, you giving like a grant to start up a business, which is rather strange because the government doesn’t own shares in it. This is quite irregular. 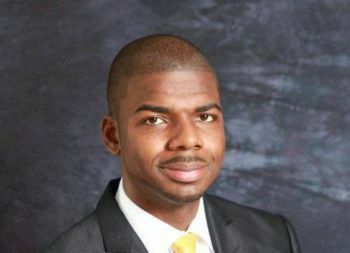 The government has no control over what is happening,” explained Mr Natalio Wheatley. This will bring down the NDP like BI- Water brought down the VIP.Have mercy. This is said about each and every project that NDP has initiated but no other political party can compare. All the bad talk envy and resentment is the fuel in their tank so keep on lighting their fire. All this ballyhoo from those one would think; was more intelligent and responsible. Half a story and they leading the masses to hysteria. No idea what is truth and sensibility. Sensationalism won't get these wannabes elected.A temporary high then flat as a pancake and leaving a bad taste while NDP continues to leave them in the dust with no sweat. Either u have class or you don't. So glad it's not the bloggers electing the politicians. Hope some ah you could vote. Give us a replacement and we will consider, but if you coming poe-coe poe-coe, we not jumping ship. One lil slip up and they ready to kill the best hope for the future. Just give Ronnie Finance and you see a joke. But somebody want to plan vindictive before he goes. Hope he go out on BVI Airways. Political rube in the Admi Complex, with no vision for the country, no attention to details, no interest in learning, absolutely nothing. You call this a lil slip up? No my friend, this is stupidly in the highest. Too bad some of you can't see that this is a big joke on all virgin islanders. the voters Well get what they wanted. YOUR EXCELLENCY BEFORE WE COME FOR REPRESENTATION IN THIS MATTER. RESERVE POWER WAS UTILIZED TO AFFORD THE POLICE MORE FUNDIND. WE ARE ASKING YOU TO USE YOUR RESERVE POWER TO DENY THE NDP GOVERMENT MORE FUNDING FOR BVI AIRWAYS. THE TWO OR THREE AIRCRAFT THAT THE SEVEN MILLION DOLLARS PURCHASE WE WILL PARK THEM BEEF ISLAND ON THE TERMAC AND WHEN WE ARE READY WE WILL GIVE THEM TO VI AIRLINK TO ADD TO THERE FLEET. THE NDP GOVERNMENT IS INCOMPETENT.